It's the little things that can make all the difference. When you review tool after tool after tool, its easy for everything to simply blur together into one general tool, so you find yourself waiting and hoping to be surprised by one magical little design idea, one extra little feature that makes the review in hand that bit easier to enjoy. This is of course a good jigsaw, which means you can only go so far in ingenuity before you wander into the realms of gimmick: we've all come across tools that do things they're not even really supposed to do, and are of little extra benefit to the reader, too. However, that's not to say that things here aren't looking bright. It's worth noting, for instance, the handy extra guard that hangs down over the blade. Sure, there's the plastic guard as you'd expect, but often I'll just remove mine so that I can actually see where the hell I'm cutting. 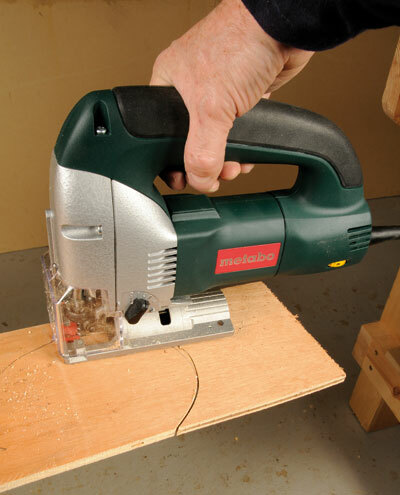 Metabo obviously are savvy to this, so the inclusion of an extra little drop down chip guard makes a real difference - safety without encumbering your work. 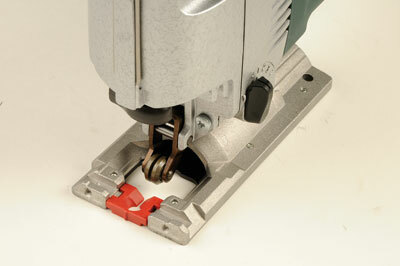 Otherwise, along with the ability to adjust the protected foot's angle, you have a solid and powerful tool. You could happily drop the rugged design without fear of damage, and it feels easily controllable under the hand. 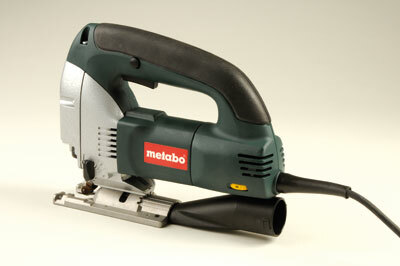 Unlike a lot of jigsaws I didn't have my whole weight over the tool to achieve an accurate cut. There are five different pendulous settings, although, lets be honest, most of us are going to leave the switch on setting five. Little features can indeed make all the difference, but it helps that at its core this jigsaw is excellent quality. You're paying a little more, but I say it's justified. The benefit you'll see in return will, I'm sure, convince you too. Excellent. "This jigsaw is excellent quality"